This THERMOSLATE® technical solar floor system will heat the pool of this apartment in Tenerife (Canary Islands, Spain) while embracing the renewable energies sustainability and the elegance of natural slate. The owner of this house located in Santa Cruz de Tenerife, Spain, needed a system that would allow him to heat this pool with a total surface of 41m2 and 60m3 of capacity. In order to meet those needs, 6 thermal collectors were installed on a 6m2 surface covered in natural slate CUPA 17 (format 40×20, Excellence Selection and nominal thickness of 3.5 mm). 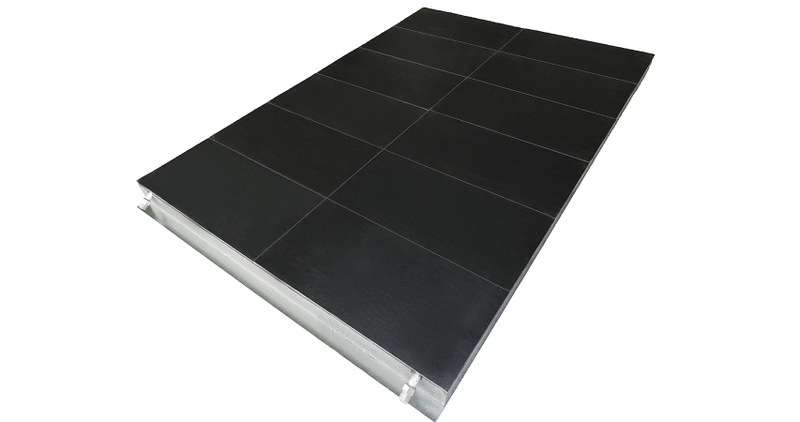 THERMOSLATE® technical solar floor, system has been specially designed to adapt the advantages of our solar thermal collector to any kind of external surface without specific needs for waterproofing either flat roofs, terraces or facades. 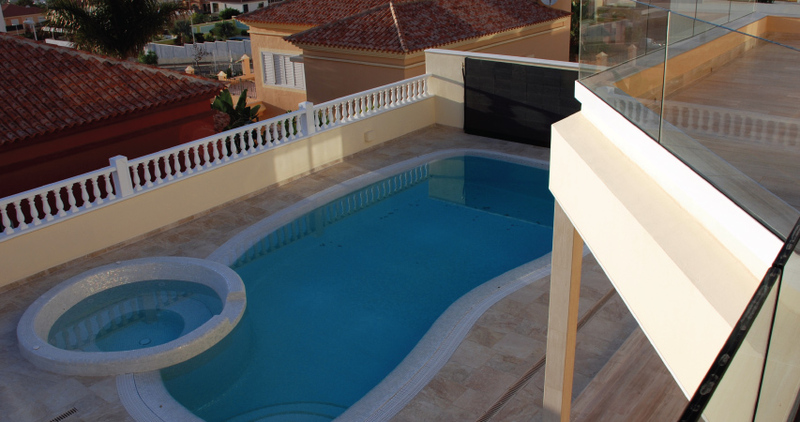 Besides conferring the exclusive elegance of a natural slate finish, this installation keeps the average temperature of the pool at 25ºC, 11 degrees above the water supply temperature. Here, in CUPA PIZARRAS, we foster a sustainable development allowing us to offer new products promoting a greener architecture. In particular, this THERMOSLATE® project in Tenerife avoids the emission of more than 578kg of CO2 annually. Improve your home design and sustainability with THERMOSLATE®, a thermal solar system with a simple installation process and practically no maintenance whatsoever. For further information about our natural slate solar thermal collector, download the THERMOSLATE® brochure.